Automated alerts from the fledgling West Coast earthquake early warning system are ready to be used broadly by businesses, utilities, schools and other entities but not for mass public notification, officials said Wednesday. 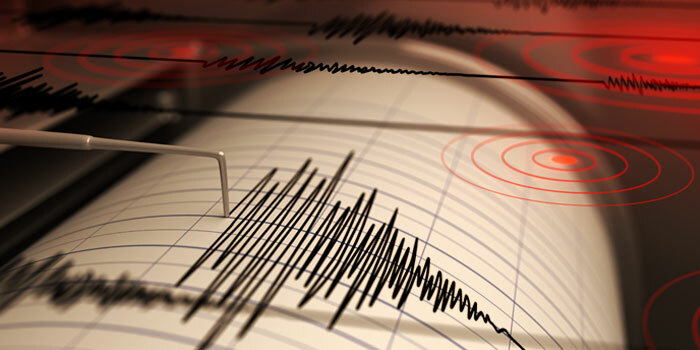 “We’re making a large change from a production prototype in pilot mode to an open-for-business operational mode,” Doug Given, earthquake early warning coordinator for the U.S. Geological Survey, told a press conference at the California Institute of Technology. The system being built for California, Oregon and Washington detects that an earthquake is occurring, quickly analyzes the data and sends out alerts that may give warnings of several seconds to a minute before strong shaking arrives at locations away from the epicenter. That can be enough time to automatically slow trains, stop industrial processes, start backup generators, pause a surgery or send students scrambling for protection under desks and table. Pilot programs involving select users have been underway for several years. “The system is not yet finished, it’s not complete, there is a lot of work to be done, however there is a lot of capability in the system as it exists today to the point it can definitely be used,” Given said. The sensor network is about 50 percent complete and funding has been secured to complete it in California in the next two years and get two-thirds of the way built out in the Pacific Northwest, he said. Another key development occurred Sept. 28 when a new generation of ShakeAlert software was deployed. Given said among its important improvements is reduction of false and missed alerts. False alerts typically have occurred when a large quake elsewhere in the world is detected by a sensor and is mistaken for a local temblor. “The system performs now much better than it did in the past to the point where it is much more reliable,” he said. Officials now want to open ShakeAlert to a wide array of applications and are encouraging potential users to contact the USGS. That doesn’t yet include mass public notifications for several reasons, including the fact that current cellphone technology is too slow for timely delivery of notifications. Rep. Adam Schiff, D-Calif., who has championed funding of the system, said it will also be important to make sure people know what the alerts mean, what to do when they get them, what not to do and to understand there may be false alarms. This article is from Claims Journal and can be found here. Earthquake insurance deductibles as low as 2.5%! For West Coast residents, earthquakes are inevitable. Ensure your home will be covered with earthquake insurance. Contact us for a complimentary no-obligation quote. Stay up to date with news, information, and invites. Don't worry, we hate spam too. Unsubscribe at anytime.